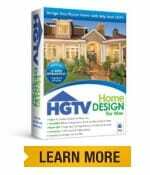 HGTV branded landscaping software is created by software developer Nova Development, one of the largest publishers of consumer and small-business oriented software in the US. 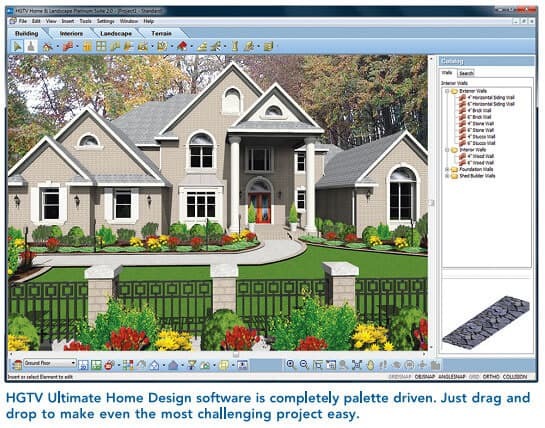 These pieces of software have a large toolset with the ability to create not just landscapes, but kitchens, bathrooms, decks, and more. 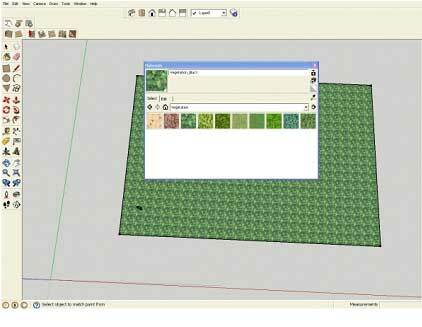 The Home and Landscape Platinum Suite has one of the largest libraries of plants and materials available in landscape design software. The following information is specifically from the Platinum Suite. 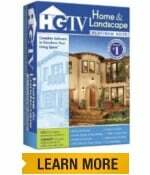 HGTV software is capable of creating just about every type of outdoor object or plant you can think of. Whether redesigning an existing yard or creating a completely new one, the software has the power to do this without frustration. 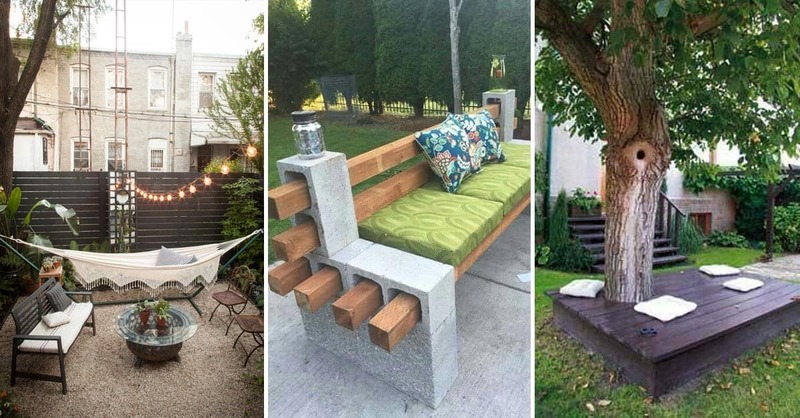 You can create objects like decks and gazebos, light fixtures, gardens, furniture, and much more. These products utilize digital wizards to streamline the design process. 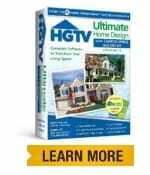 You do not need to have design experience to make the most of HGTV software. 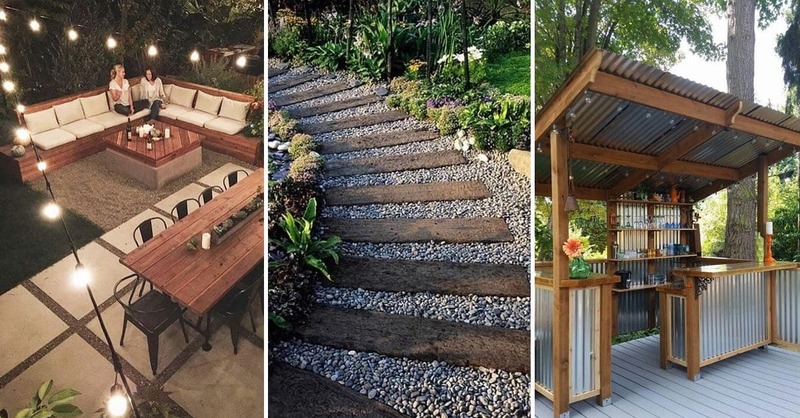 HGTV software comes with a deck and patio creation module which allows you to create these structures by selecting your desired dimensions, materials, and surrounding accessories like plants and railings. Physical goods and accessories can be selected and positioned in any location around the yard. 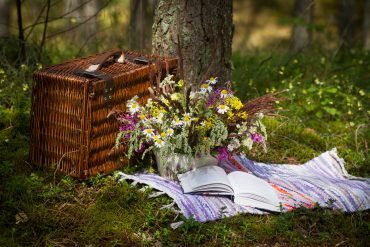 These include furniture pieces like benches, swing sets, gazebos, barbecues and more. 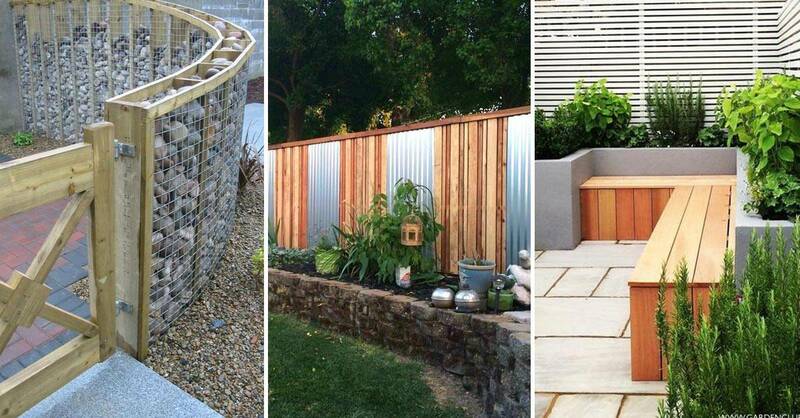 Fences and walls are important in any yard, and HGTV allows you to create them easily. Create custom fences by selecting the quantity of posts, distance between posts, color of wood and more. Walls can be creates with equal precision by selecting brick material, size and height. HGTV landscaping software includes one of the most comprehensive plant encyclopedias available with over 7,500 plants. 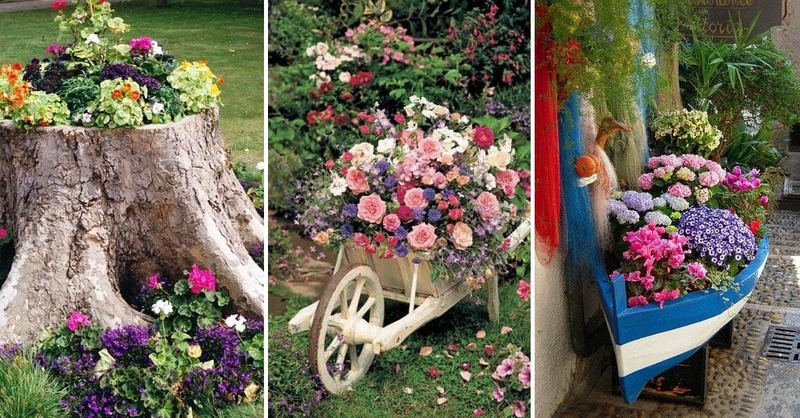 Everything from trees and shrubs to grasses and flowers is available for visual selection. Have a beautiful plant that isn’t in the built-in encyclopedia? Take a picture of your plant and import it into the system. Tour your 3D yard using the intuitive camera angles and fly-throughs. Fast-track into the future to see how your plants change over time. 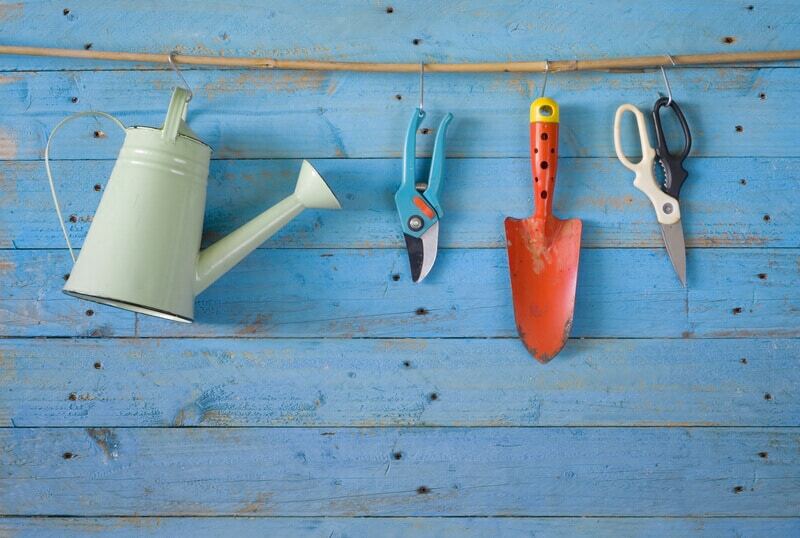 Plant Guide: Learn which plants will grow best in your climate. 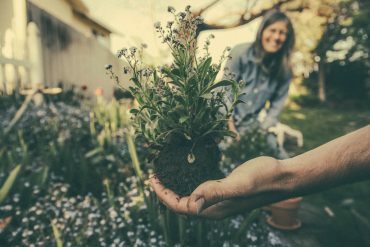 Learn about water needs, sunlight requirements, climate, soil and more. 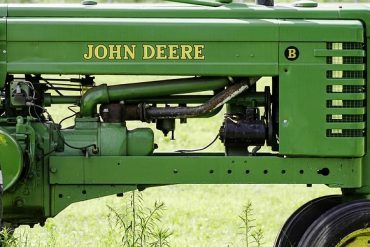 Create a fully functional irrigation or sprinkler system and configure settings like spray range and sprinkler type. Import a 2D photo of your home and add objects directly over the picture. 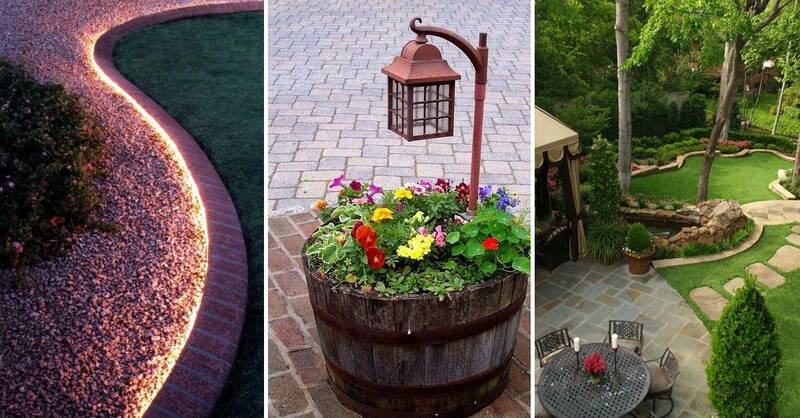 Create a beautifully lit pathway or put in spotlights to highlight your plants. In the video library you will find an abundance of home improvement tips to help guide you. 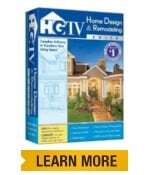 Video tutorials and tech support is also available for HGTV home and landscape products.